From the best-selling author of "Brother, I'm Dying" and "The Dew Breaker: " a stunning new work of fiction that brings us deep into the intertwined lives of a small seaside town where a little girl, the daughter of a fisherman, has gone missing. Claire LimyE LanmE--Claire of the Sea Light--is an enchanting child born into love and tragedy in Ville Rose, Haiti. Claire's mother died in childbirth, and on each of her birthdays Claire is taken by her father, Nozias, to visit her mother's grave. Nozias wonders if he should give away his young daughter to a local shopkeeper, who lost a child of her own, so that Claire can have a better life. But on the night of Claire's seventh birthday, when at last he makes the wrenching decision to do so, she disappears. As Nozias and others look for her, painful secrets, haunting memories, and startling truths are unearthed among the community of men and women whose individual stories connect to Claire, to her parents, and to the town itself. 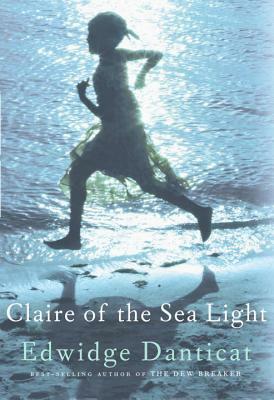 Told with piercing lyricism and the economy of a fable, "Claire of the Sea Light" is a tightly woven, breathtaking tapestry that explores what it means to be a parent, child, neighbor, lover, and friend, while revealing the mysterious bonds we share with the natural world and with one another. Embracing the magic and heartbreak of ordinary life, it is Edwidge Danticat's most spellbinding, astonishing book yet. Edwidge Danticat is the author of numerous books, including "Brother, I m Dying, " a National Book Critics Circle Award and National Book Award finalist; "Breath, Eyes, Memory, " an Oprah Book Club selection; "Krik? Krak!, " a National Book Award finalist; "The Farming of Bones, "an American Book Award winner; and "The Dew Breaker, " a PEN/Faulkner Award finalist and winner of the inaugural Story Prize. The recipient of a MacArthur Fellowship, she has been published in "The New Yorker, The New York Times, "and elsewhere. She lives in Miami. “Danticat is as well known for her mastery of language as she is for tackling difficult subjects. With her latest novel, she takes a nuanced approach to Haiti’s complex legacies . . . She keeps the reader in suspense, introducing characters to reveal the ties that bind generations not only to each other but also to their vulnerable natural environment . . . Claire [is a] spirited waif wise beyond her years—as children raised in dire conditions often are. Her disappearance set[s] the stage for revelations of the intertwined lives of the disadvantaged and the privileged. It’s much too early to say whether Danticat has reached her prime as a writer, but with Claire of the Sea Light, she has written a mature love letter to her homeland.” —Gina Athena Ulysse, Ms.